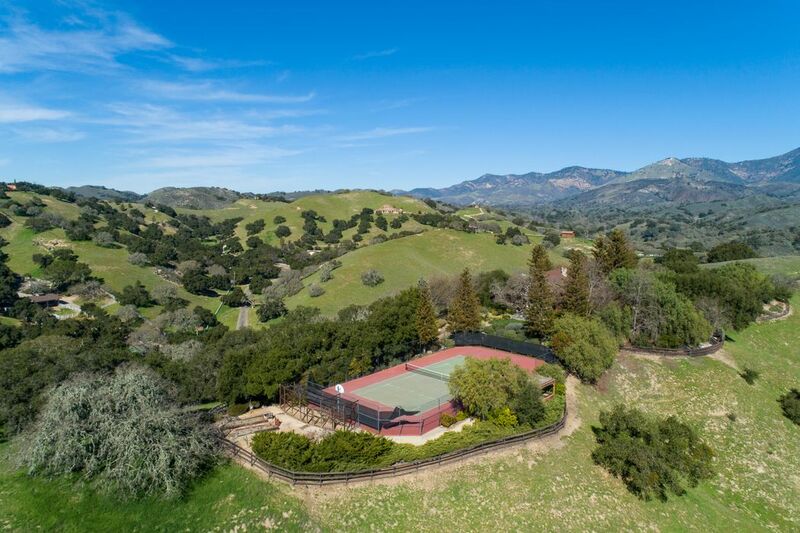 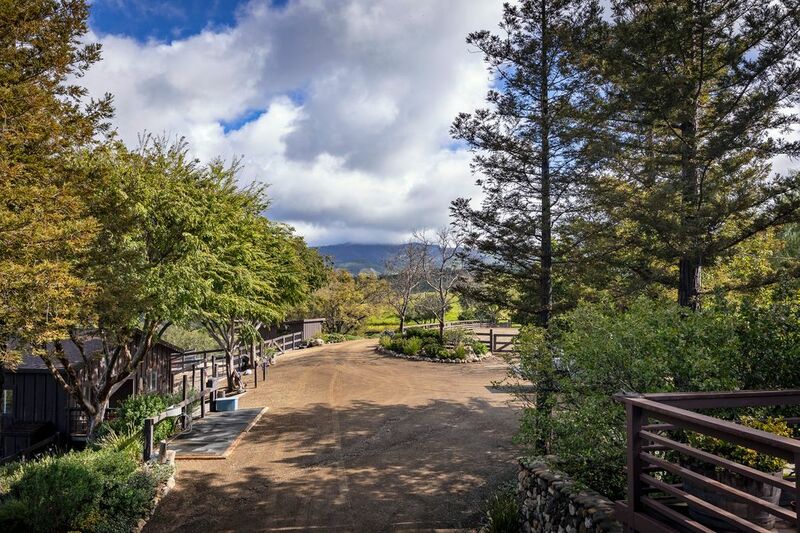 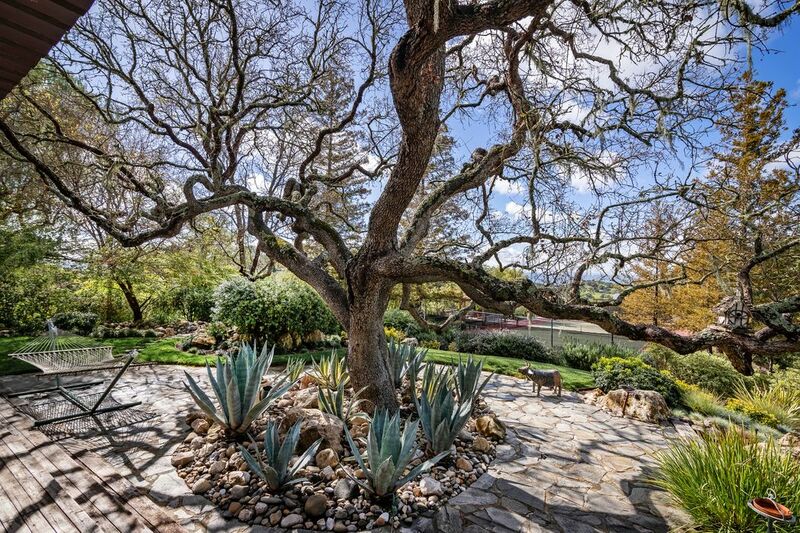 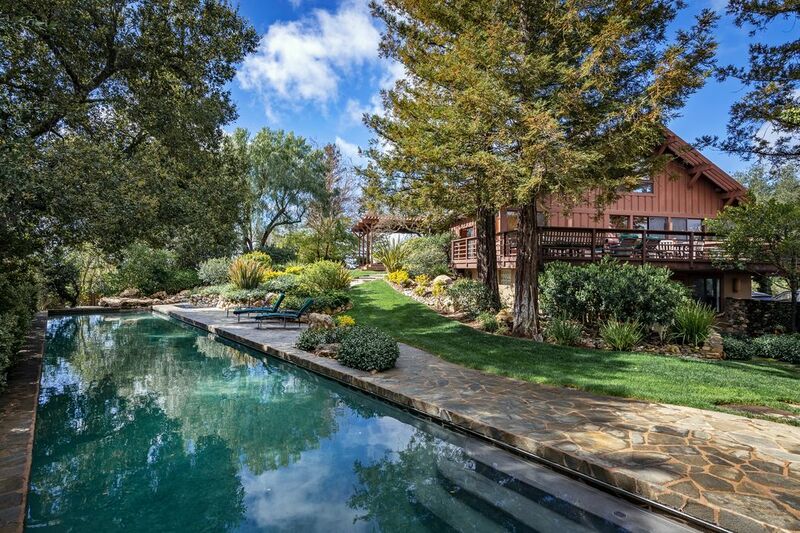 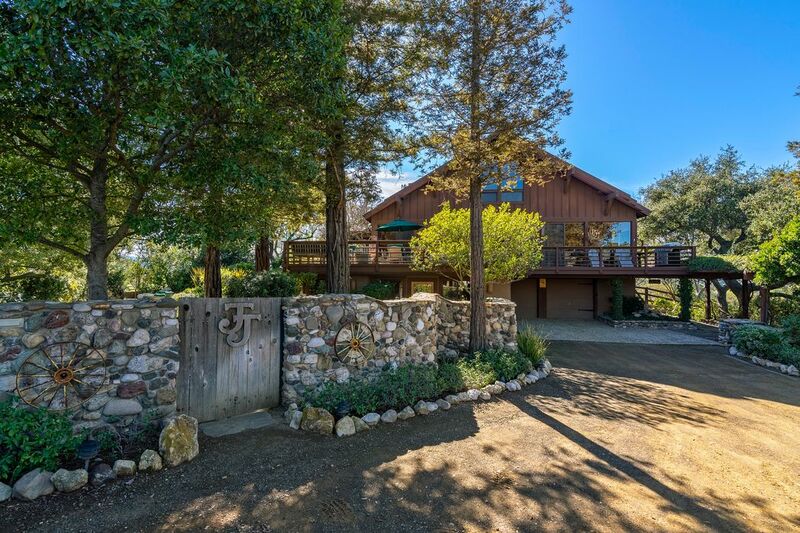 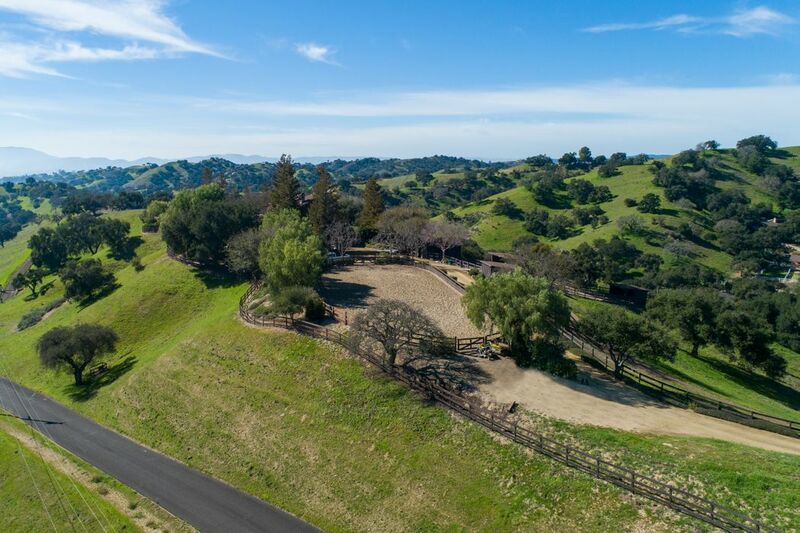 4251 Long Valley Road, Santa Ynez, CA 93460 | Sotheby's International Realty, Inc.
$2,350,000 4 Bedrooms4 Full Baths2,688 sq. 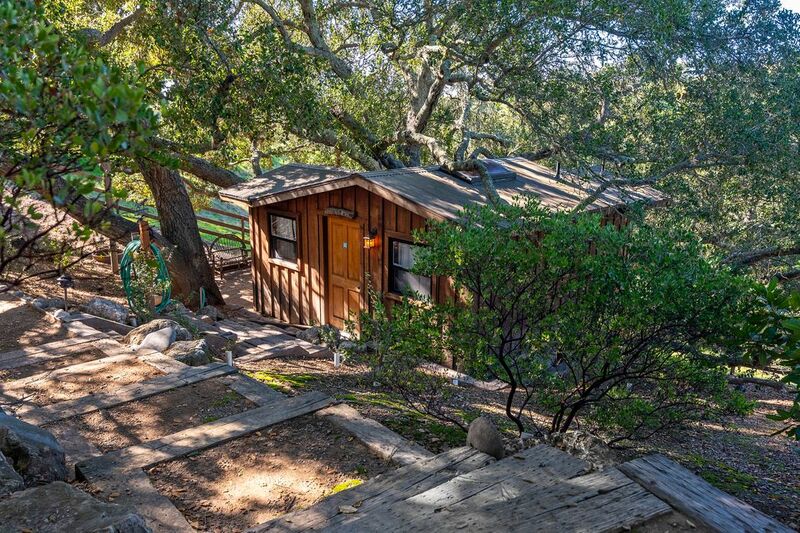 ft.
Serene and Secluded Woodstock Ranch. 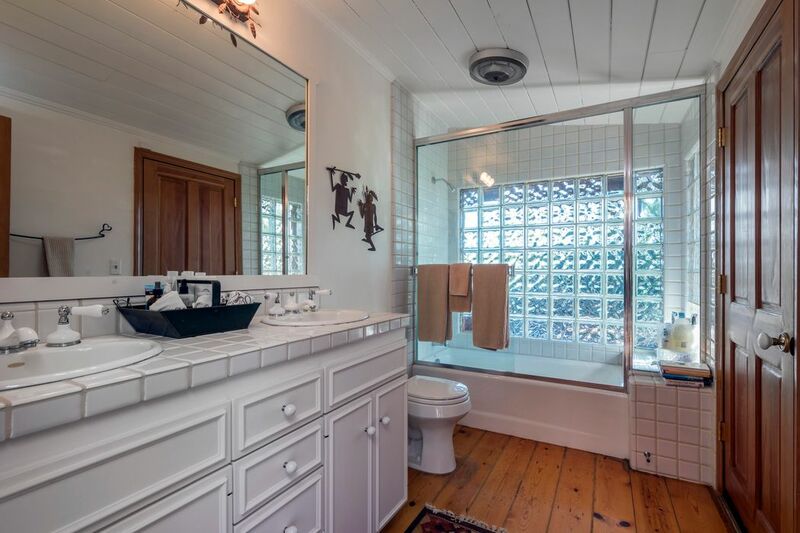 Absolutely one of the most charming properties available. 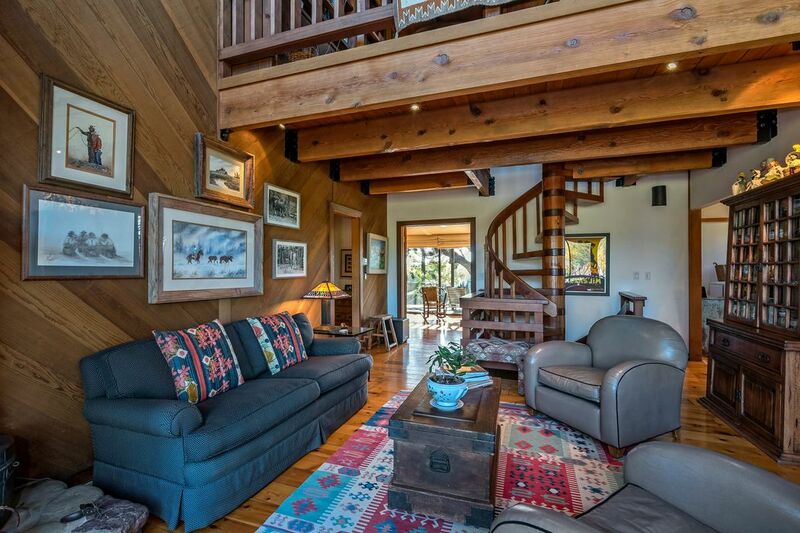 The Northwestern woods style residence has warmth and character at every turn. 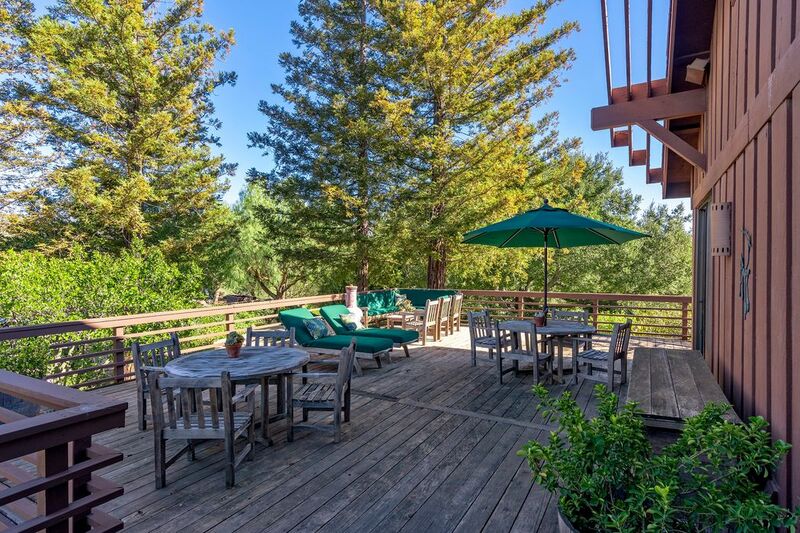 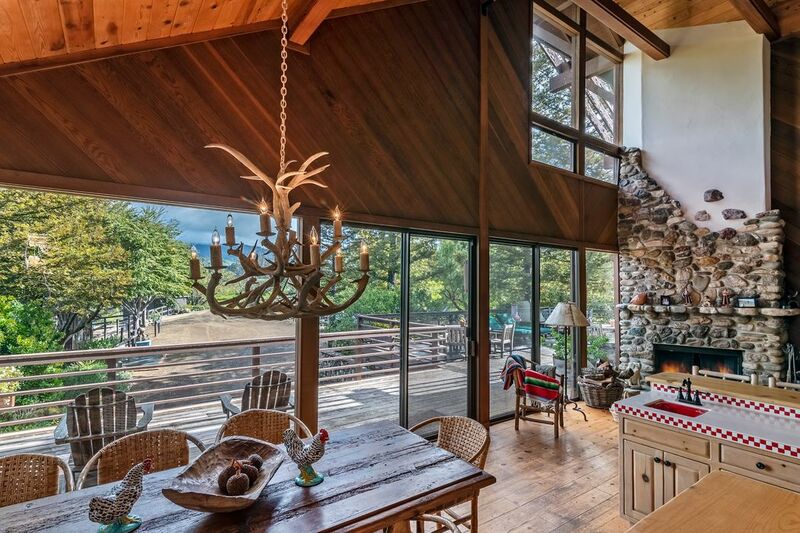 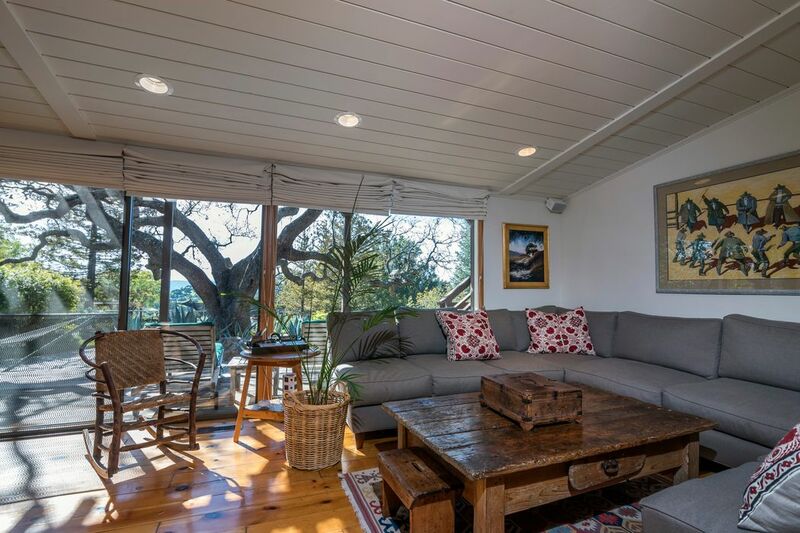 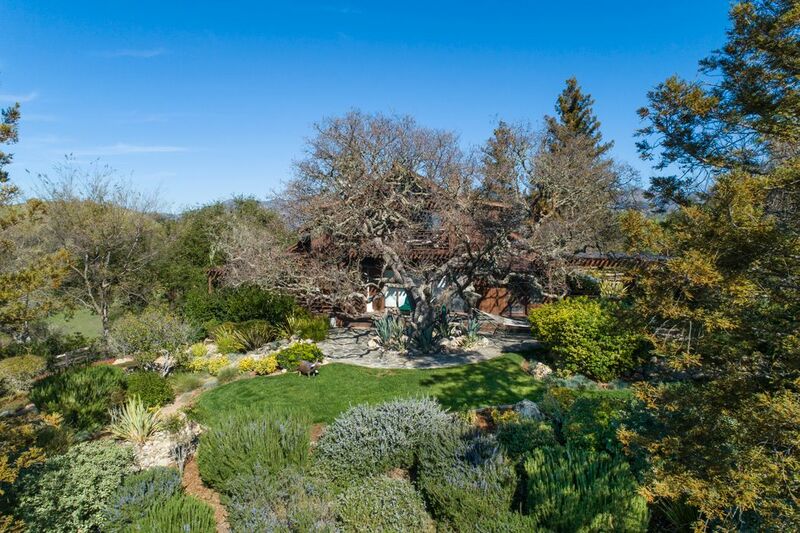 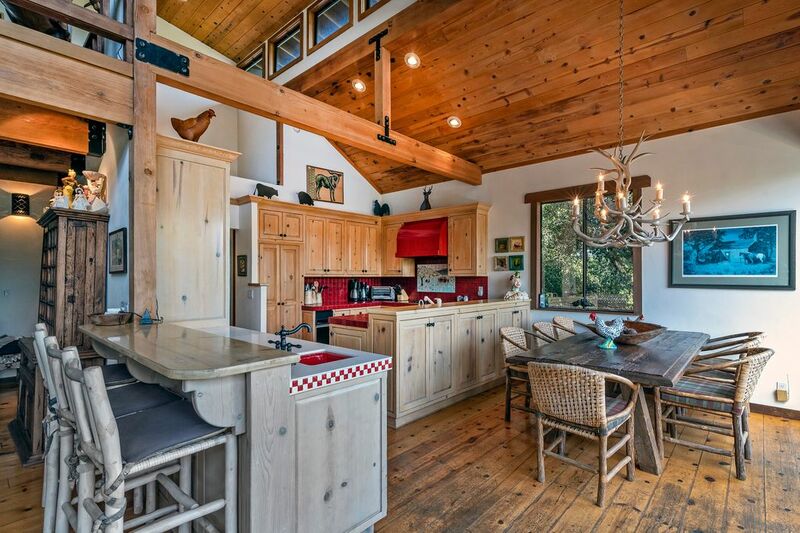 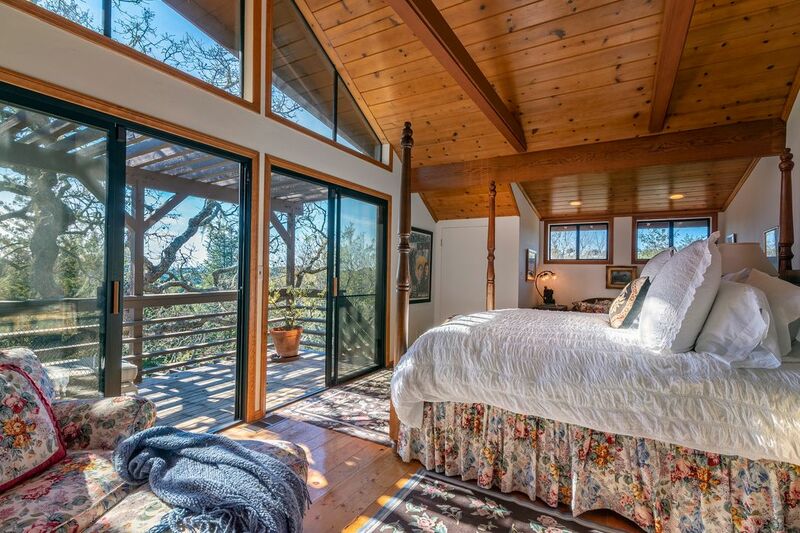 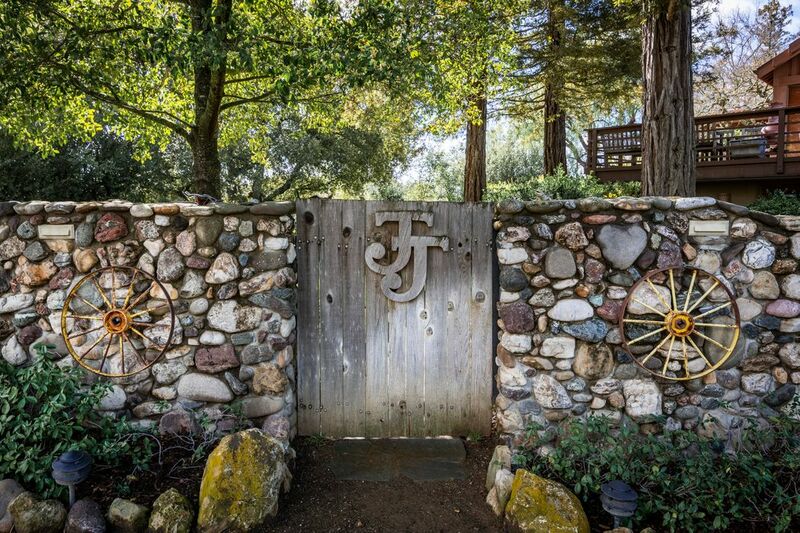 This lovely and artistic retreat, with something for everyone, features distressed pine floors, 27 foot ceilings and banks of glass windows and doors enjoying stunning views of the San Rafael Wilderness. 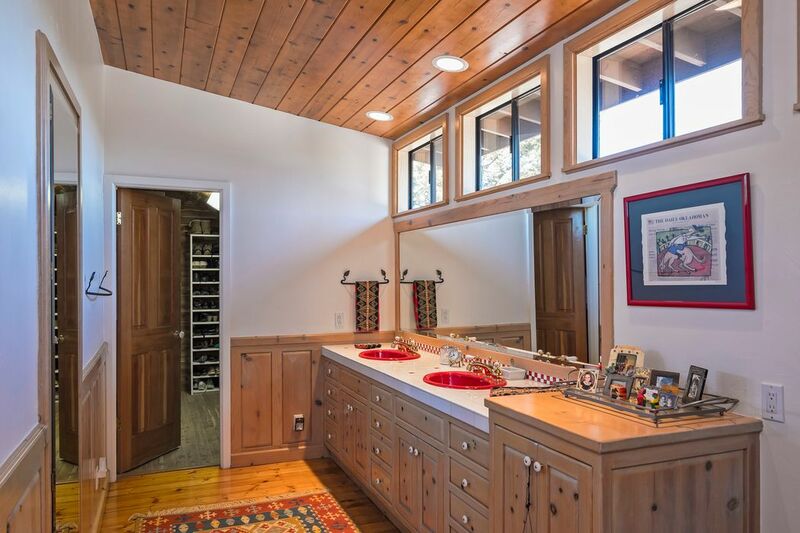 The living spaces open between a country kitchen with warm pine cabinets and colorful tile to the comfortable living room with a handsome river rock fireplace. 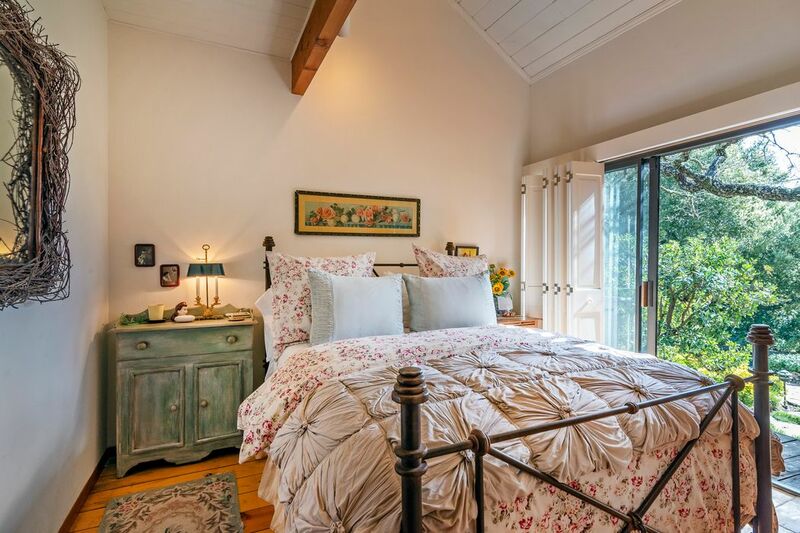 The main floor includes a spacious light filled den that doubles as a second master suite with full bath and accesses wood decks and mature gardens. 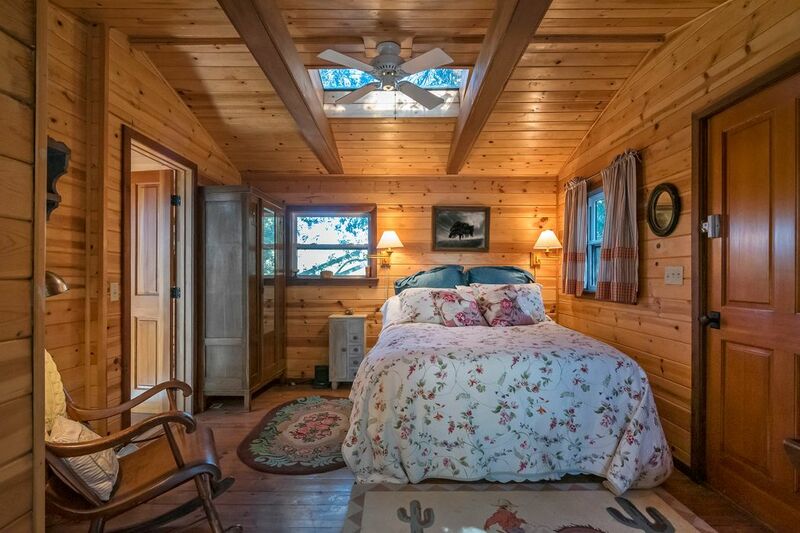 In addition, there are two lovely guest rooms with a second full bath that all open to the decks and pool beyond. 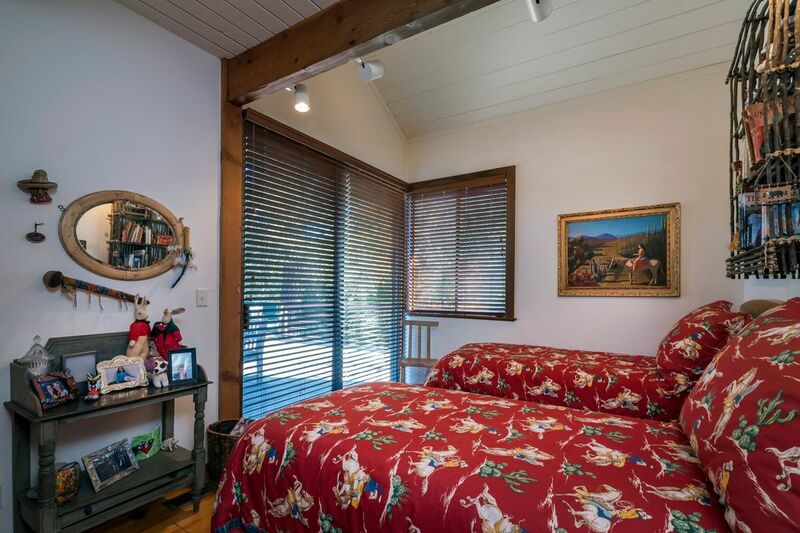 The second floor features a welcoming master suite with its own deck and big views of the Coastal mountain range, tennis court and charming art studio and bath. 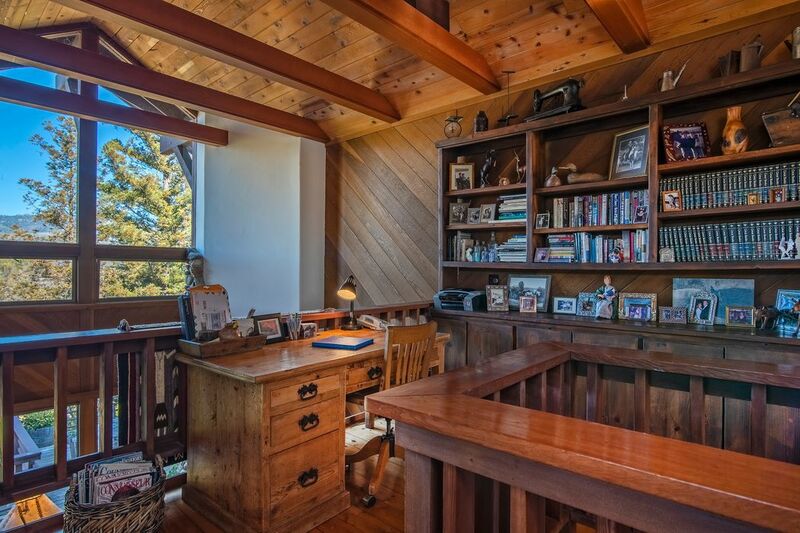 A clever loft space is used as a library/office and enjoys yet more mountain views. 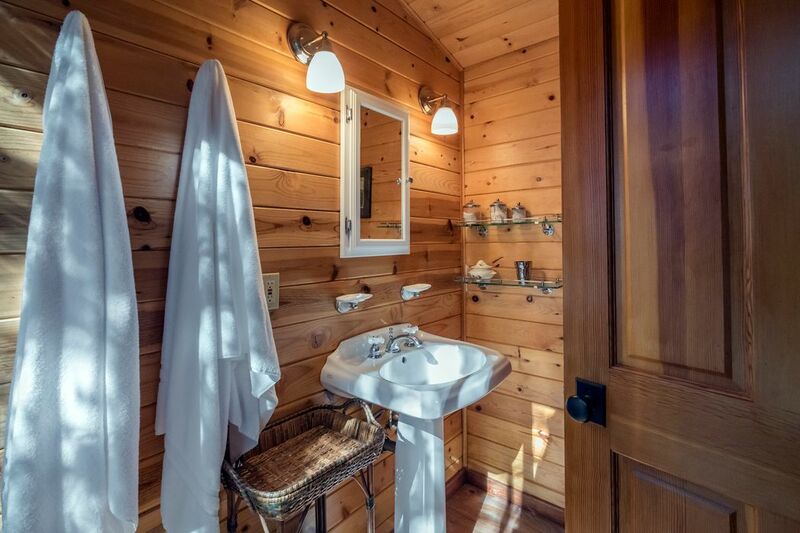 At the lower level, one can find a full exercise studio, sauna and full bath. 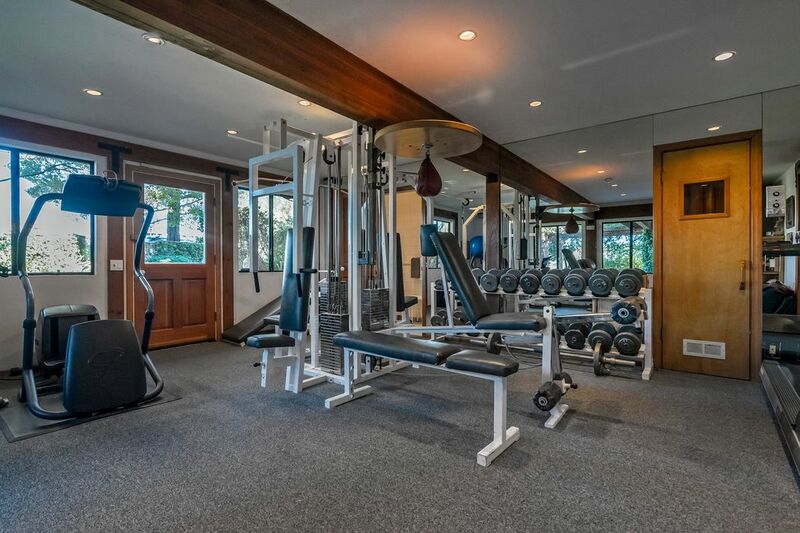 It has access to a regulation lap pool for a comprehensive work-out routine. 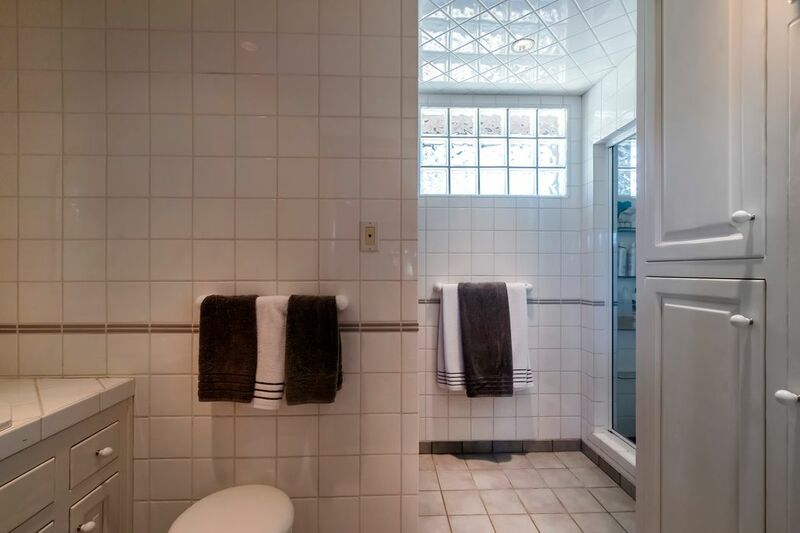 To complete the residence attributes, there is a locking wine room, 3 car garage and generous storage. 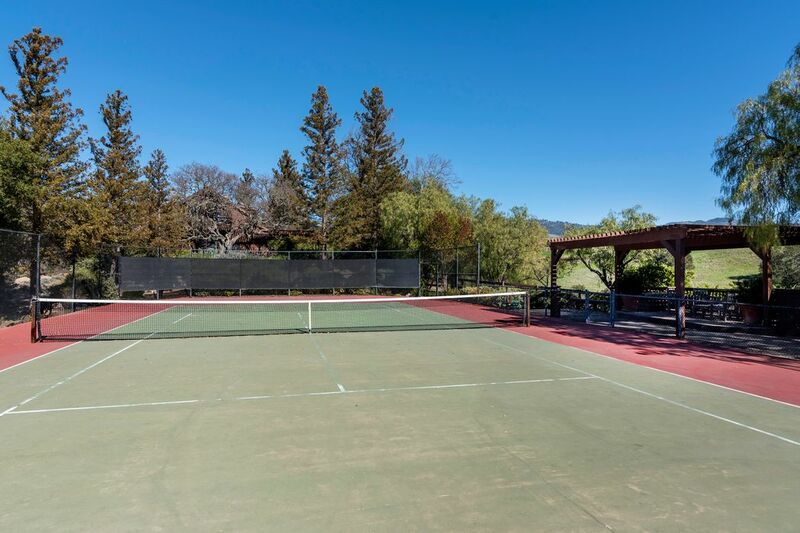 The entertainments features are equally compelling with expansive view decks, lap pool, tennis court and equine facilities. 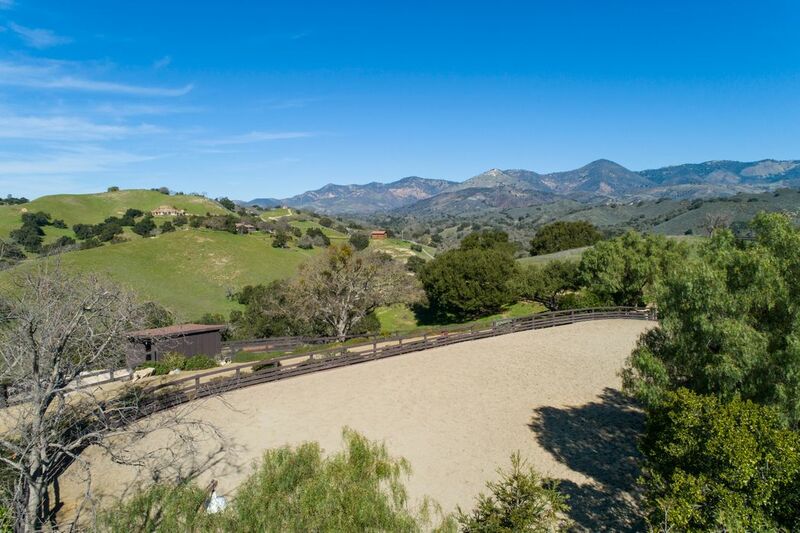 A large sand arena is the perfect place to warm up before you ride out onto miles of Woodstock riding trails. 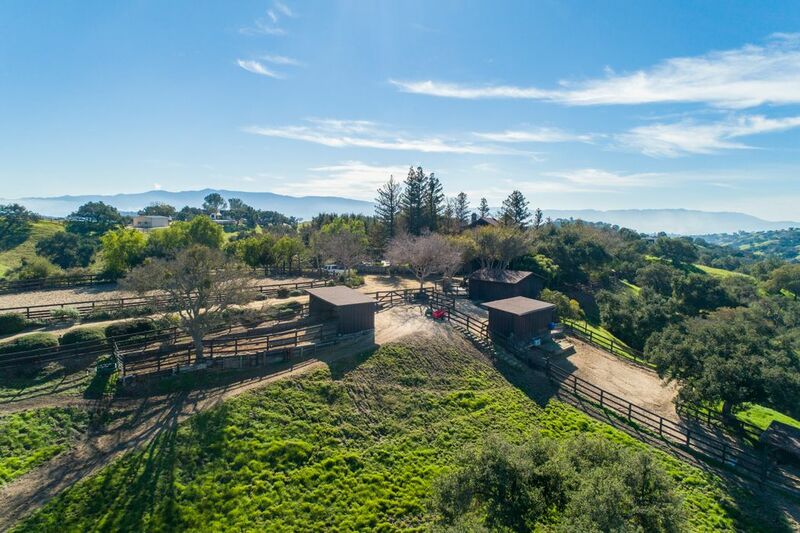 In addition, there are numerous shelters, tack room and a large storage barn. 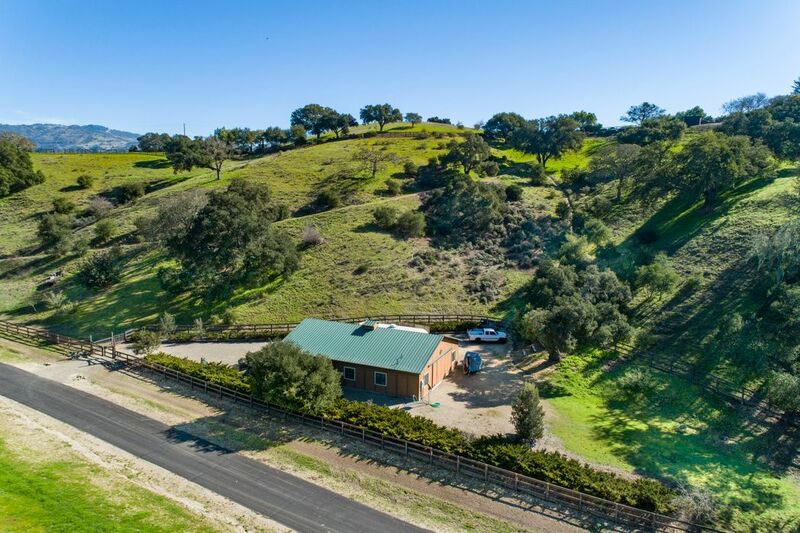 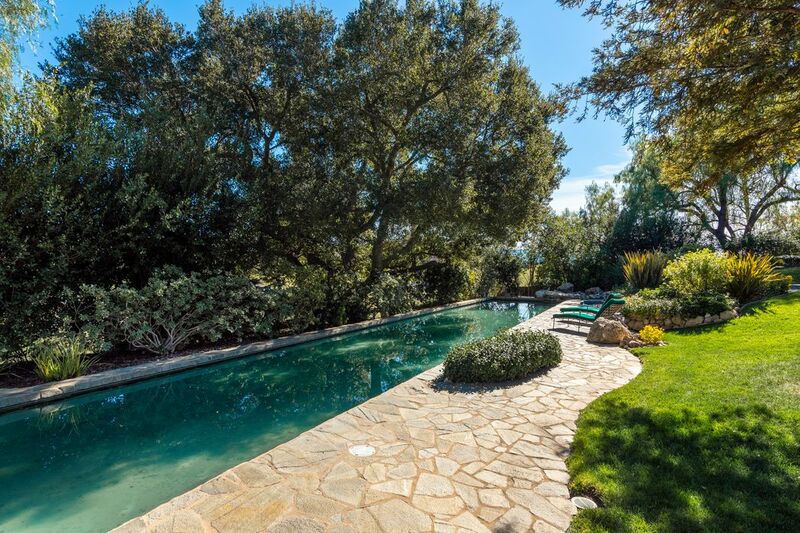 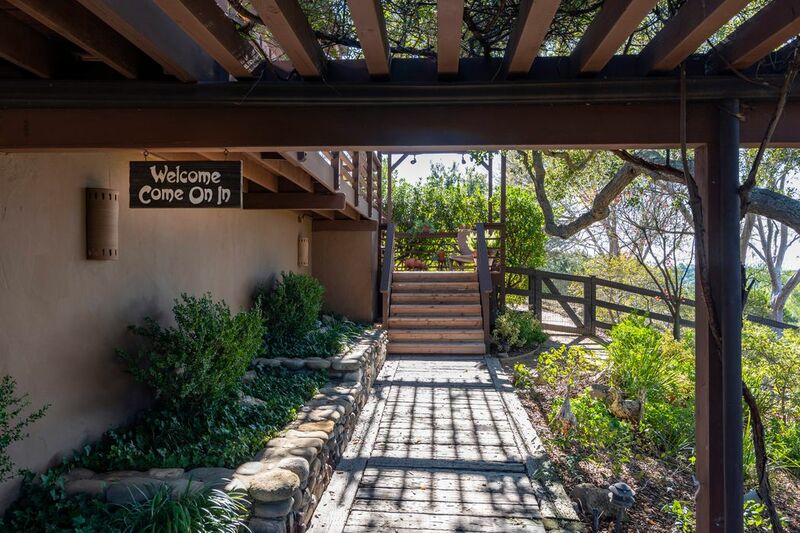 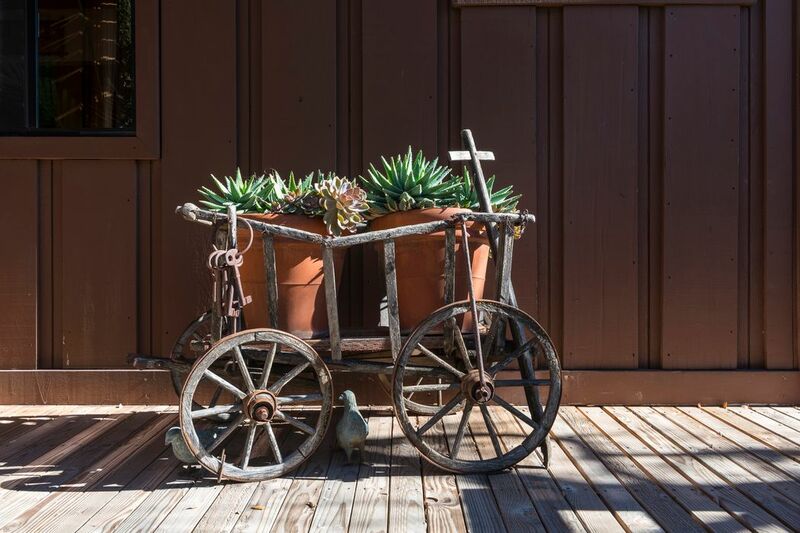 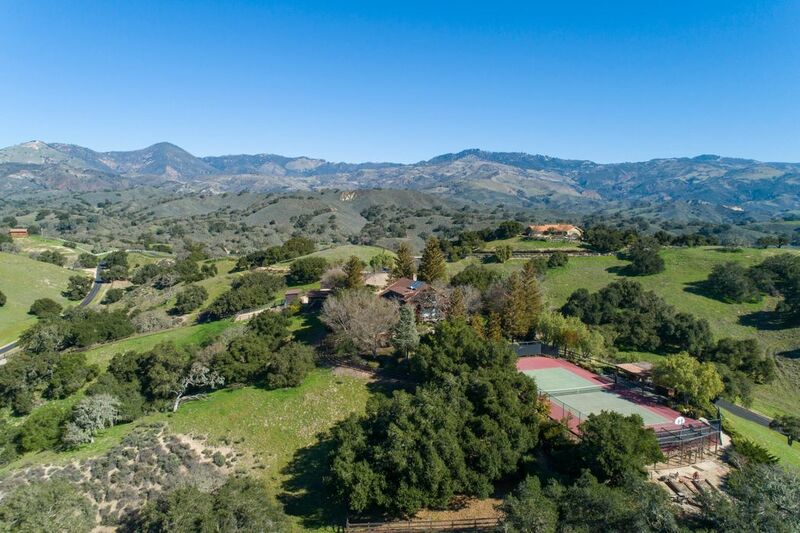 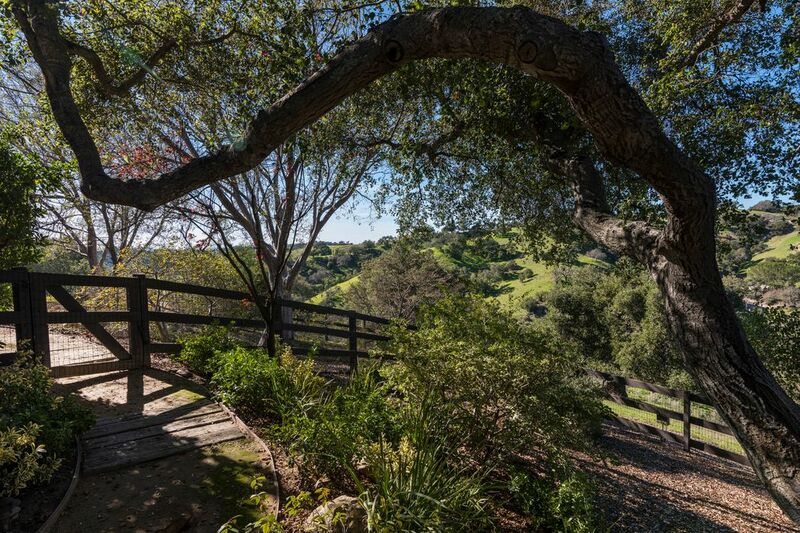 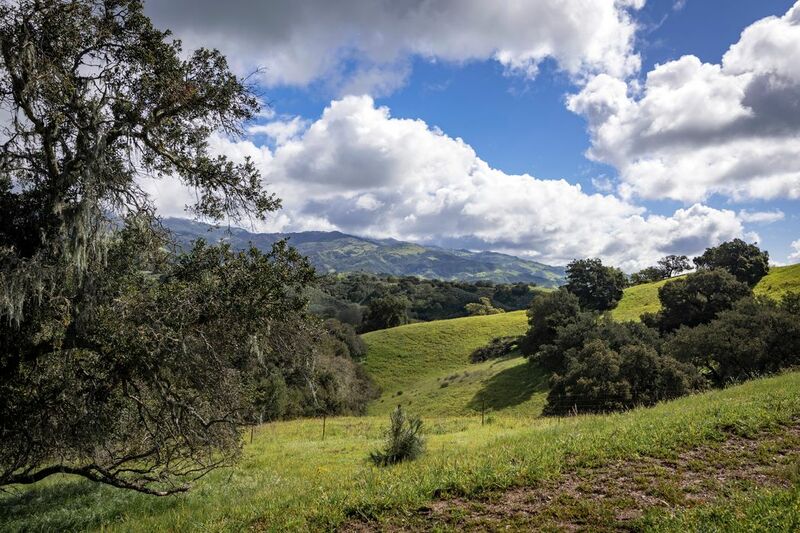 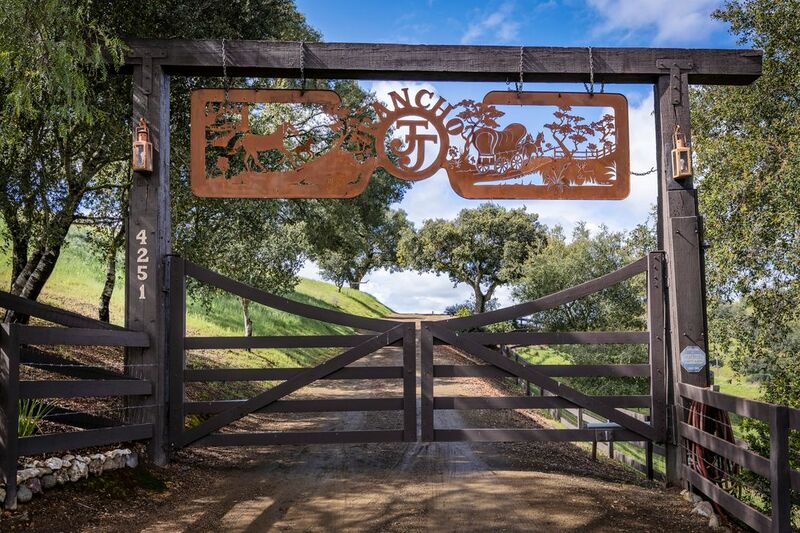 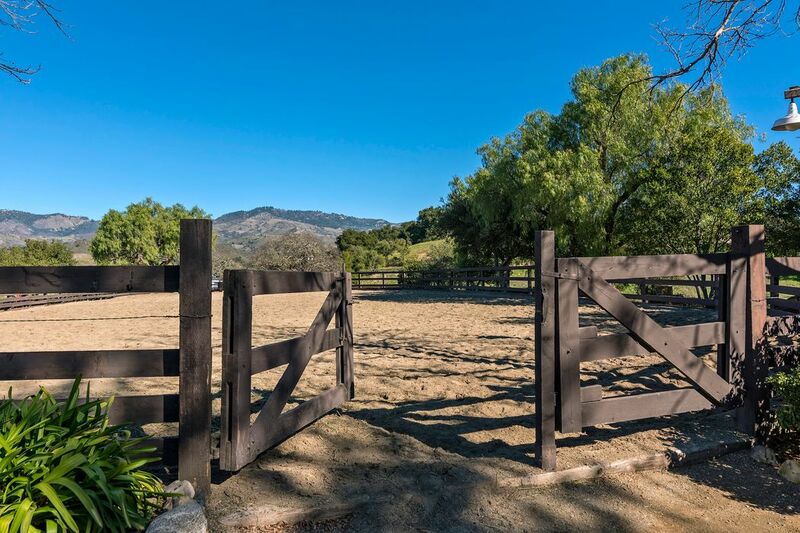 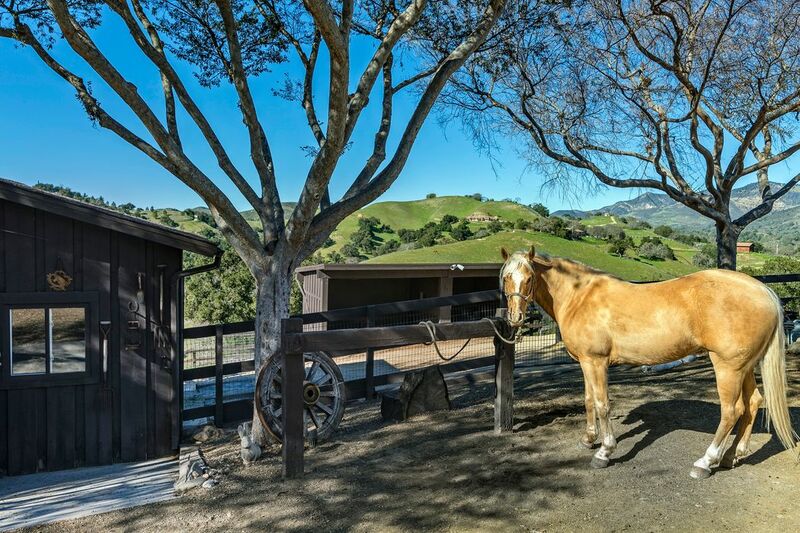 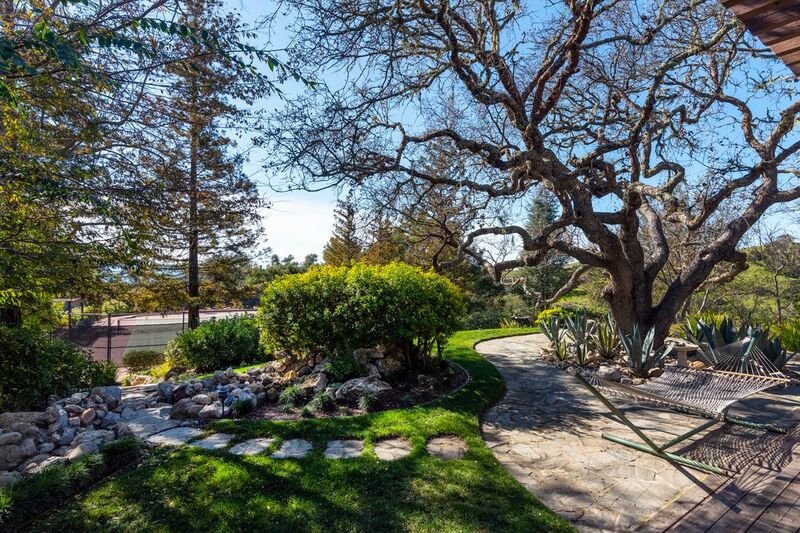 This area is desirable for its agricultural water system, hours of walking and riding trails and proximity to the Sedgwick Preserve yet only minutes from Los Olivos and fine dining.